…founder & Managing Director of Oishii Foods Ltd has received media attention over the years not only as a strong female entrepreneur but also as a self-made business woman who has built a profitable food business from scratch. 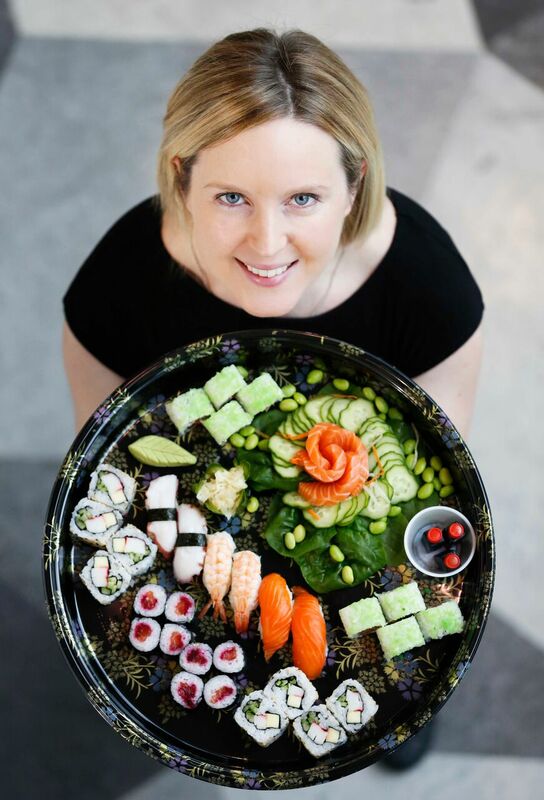 With no industry experience in either food or retail, Ciara started Oishii Foods with nothing more than a passion for Japanese Food and a desire to share her love of Japanese flavours with a wider audience. 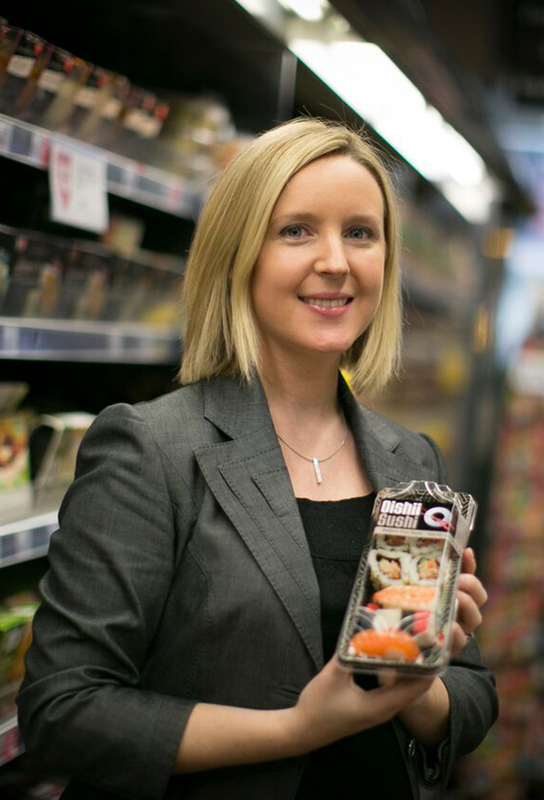 Oishii Foods is now the largest supplier of freshly made Japanese products to the retail sector in Ireland. Ciara was named Image Magazine’s Business Woman of the Year in 2011 and has had the privilege to speak at various high profile events such as National Enterprise Day and International Women’s Day to name but a few. Ciara is a strong advocate for entrepreneurship in Ireland and is involved in mentoring start ups, offering advice & support from her own wealth of experience. supplying to retail in Ireland. For enquiries, please contact Ciara via our contact form. 2009 Small Firms Assocation (SFA) Finalist ‘Outstanding Small Business’ Award. 2010 Company Winner of ‘CEB Client Award’ at Wicklow County Enterprise Awards. 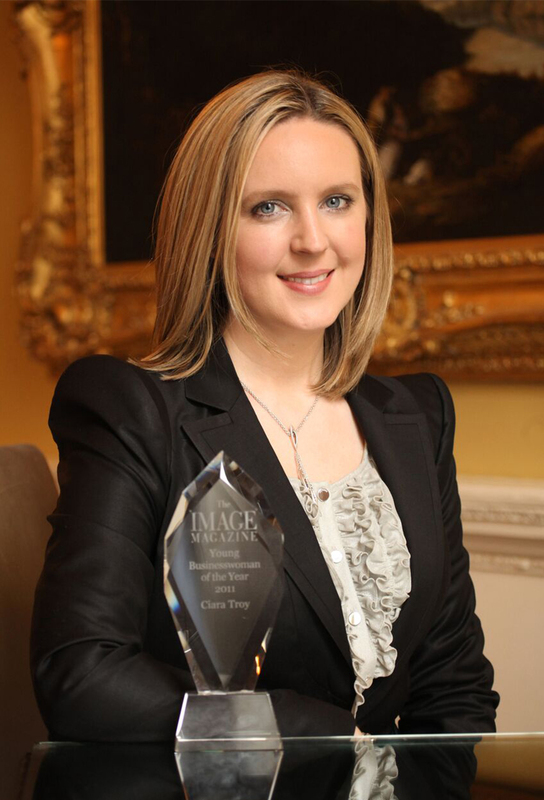 2011 Winner of ‘Young Businesswoman 2011’ by Image Magazine. 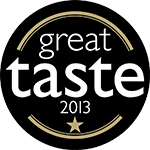 As mentioned above, several Oishii Sushi products have received gold stars by the renowned Guild of Fine Food. These stars are coveted by the food community and are not awarded lightly. It is with great pride that Oishii Foods has received a total of 5 gold star awards to date and they do not intend to stop there. Ciara and her team at Oishii Foods are passionate about innovating new tastes & products and are always looking for new ideas. It is this innovative streak that will bring the business to the next level in years to come. It was a real privilege to be invited to speak as one of 5 professional panellists at the Local Enterprise International Women’s Day event 2016. It was a great opportunity to share my experiences as an entrepreneur & food business owner. It was a well attended event with over 300 delegates. The positive atmosphere in the room was contagious and the stories shared were inspiring.